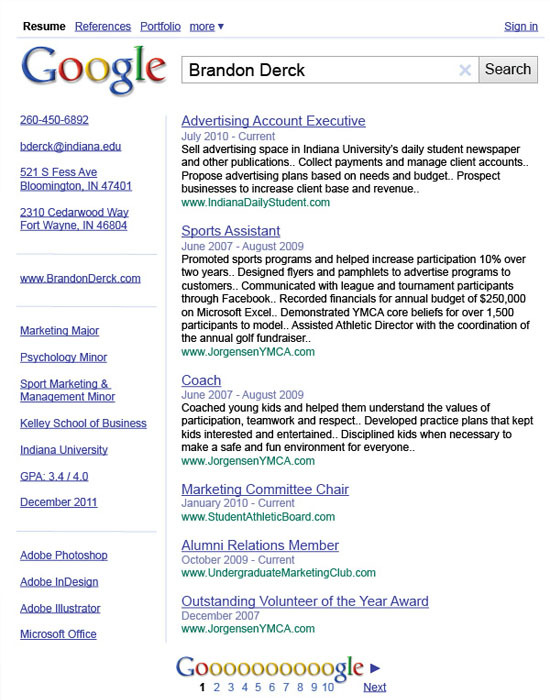 I found this site that had examples of some really interesting resumes created by different designers. Since we are currently working on our resumes for our self -promotion project I was excited to come across this site. The different resumes are all very different and very unique. They definitely express each persons individual personality. 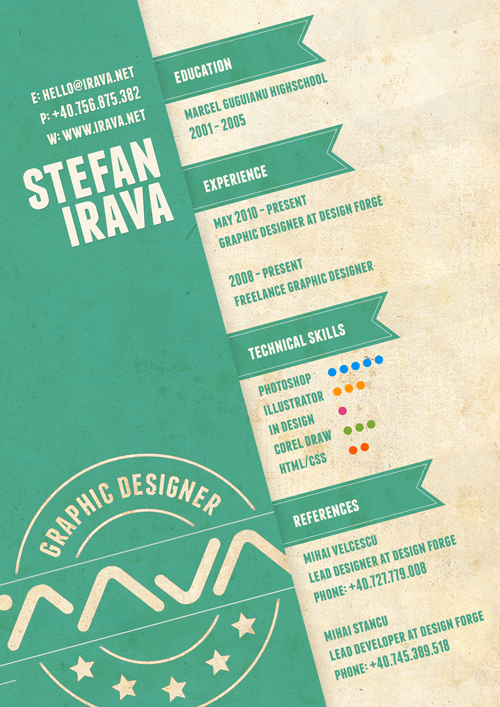 Some of the resumes are really crazy and out there and others are simpler but still very interesting. Here’s the link to the site so you can see for yourselves!